The idea of ‘no detriment’ is such a basic defensive principle of trade unionism that it is surprising sometimes to hear a trade union leader arguing for her members to accept a detriment! Yet in two emails promoting the latest offer from the Universities UK in the USS pension dispute, UCU General Secretary Sally Hunt argues against the idea of obtaining a ‘no detriment’ clause in an agreement on the basis that it is unrealistic and the employers will not agree to it. She even points to a contribution sharing ratio to argue that members will need to accept a detriment if a deficit figure is decided upon. I just want to point out that au contraire, obtaining this commitment is both necessary and feasible. Let us be clear first of all what is meant by the phrase. Obtaining a “no detriment” commitment simply means that the UUK agree in advance not to make cuts in USS pension benefits for employees in the current valuation round. 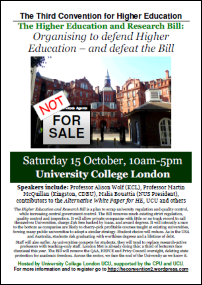 There are obvious reasons why UCU members are seeking a no detriment position to be accepted. We went on strike for 14 days, and we may need to strike again, to protect our pension. If it were accepted, the dispute would be over – for the next three years at least. I would like to suggest that it is worth considering three questions here. the benefits to USS and the sector of reaching such a position. First I would suggest colleagues consider a curious fact about the recent USS valuations. Both valuations are modelled on the premise of ‘de-risking’ (selling high-yield stocks and shares and buying low-yield government gilts and bonds). I wrote about this in the Made in Westminster post, and a month or so later found myself criticised for suggesting that it was sector bankruptcy that would compel USS to de-risk. The University strikes over the future of the USS pension scheme reach a pivotal point this week. 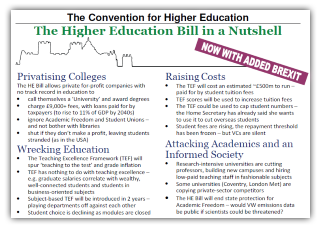 The employers’ federation, Universities UK, is deeply divided, with some, like Imperial College, calling for an “evidence-based” valuation of the scheme, while others blame the Pension Regulator for the current valuation method. The evidence shows there is no deficit, and there is no need for either party to pay into the scheme to “solve” a non-existent problem. But there seems to be a political blockage which must be promptly addressed. The trigger for the current dispute is a valuation of the pension fund related to the assumption – common in pension valuations – that the scheme should be evaluated by a method related to the very particular circumstances of employer bankruptcy. It is further assumed that, in such circumstances, the pension fund would divest from the stock market and buy government bonds and gilts. Only by employing both assumptions does the valuation obtain a possible negative outcome. This article is resyndicated from Medium.com. From “Development and Background to UUK/EPF Guiding Principles” (February 2017). It is striking that 73% of “Oxbridge” institutions — which must include constituent colleges as well as the universities — oppose the mutuality of USS’s last-man-standing arrangement, as compared with only 14% of all other USS universities (designated ‘Pre-92’). They want out on grounds that last man standing exposes them to too much risk arising from “weaker” universities. In their submission to the September consultation, Oxford writes that “the level of risk being proposed is not appropriate for all institutions and allowing weaker institutions to rely on the strength of other employers in a manner which makes their pension benefits appear affordable must be addressed”. They conclude that a “DC-only structure…would help reduce the University’s concern regarding underwriting the risk of future benefit accrual for other institutions”. The University (and the other financially stronger institutions) continues to lend its balance sheet to the sector, which contains the cost of pension provision for all employers. In a competitive market for research and student places the University would be concerned if this appeared to be having an adverse effect on the University’s competitiveness (by allowing competitor universities access to investment financing or reducing their PPF costs in a way that would not be possible on a stand-alone basis). Although this may strike some as an uncollegial, dog-eat-dog attitude towards their academic peers, Cambridge assures us that this is in the service of the greater good of society: “the University wishes to protect the long term health of the University as a major asset to the UK economy”.